Offers a gel texture and cosmetic pigments. 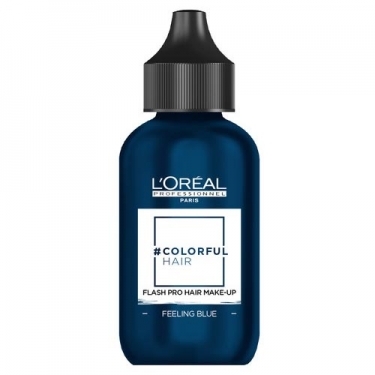 DESCRIPTION: Flash Pro Hair Make-Up from L Oréal Professionnel is a coloring that exists in several shades and that works as instant makeup for the hair. The application of this coloring takes only a few seconds and leaves with a wash.
You can also choose to have hair zones with a single color, mix shades or have only a small strand.